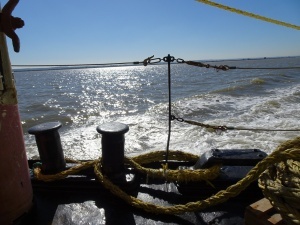 It was a fabulous river trip in perfect weather. 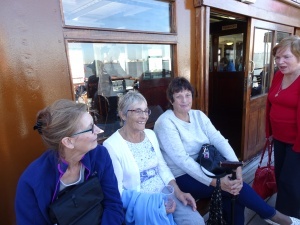 We all had a very good time. 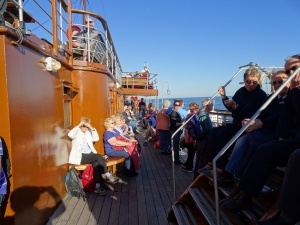 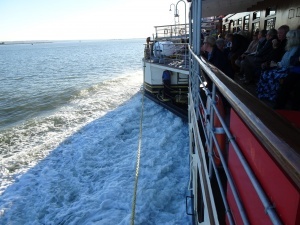 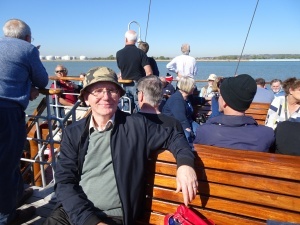 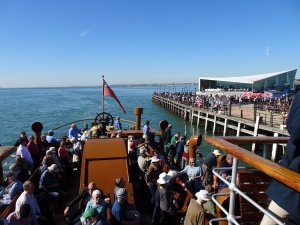 We met at Gravesend pier and waited in the sunshine until the Waverley steamed into view, coming from Tower Bridge. 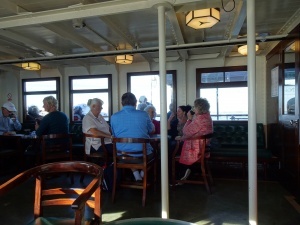 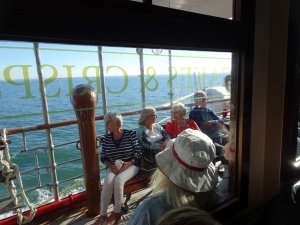 Once on board some of us headed to the tea room, some to the restaurant and some to the decks. 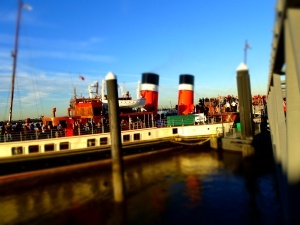 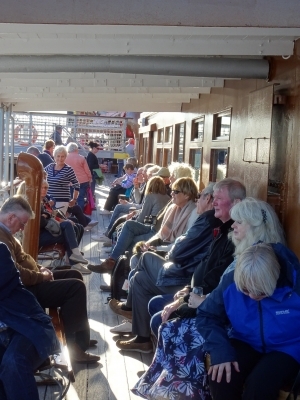 The Waverley is the last sea-going paddle steamer in the world. 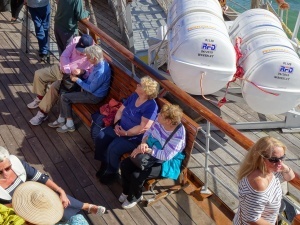 It is certainly a fascinating vessel. 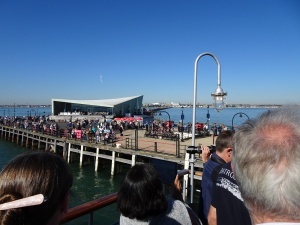 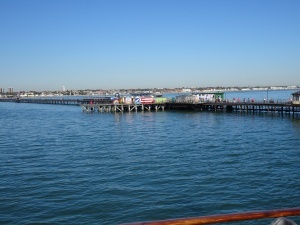 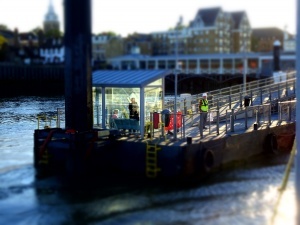 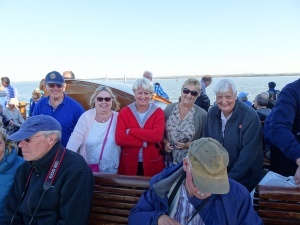 When we reached Southend, some passengers disembarked while others boarded. 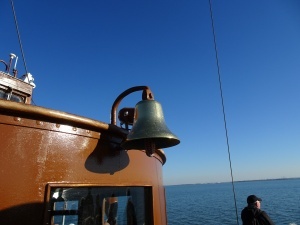 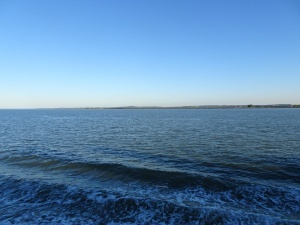 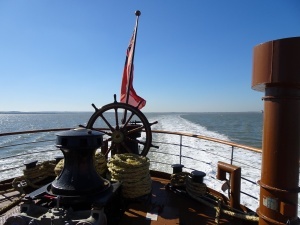 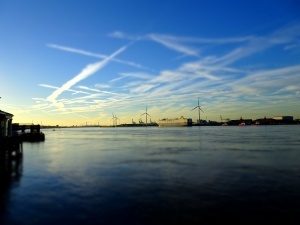 We steamed away from Southend still enjoying beautiful warm sunshine and a perfectly clear sky. 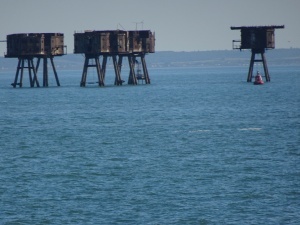 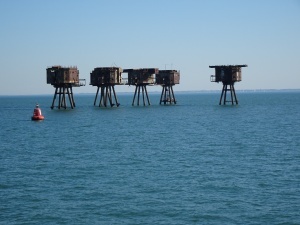 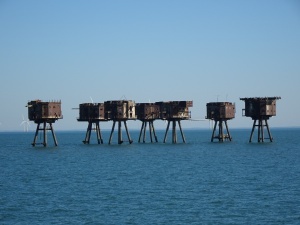 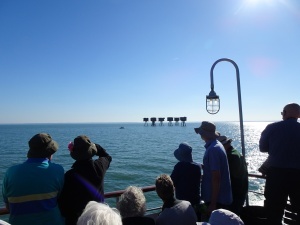 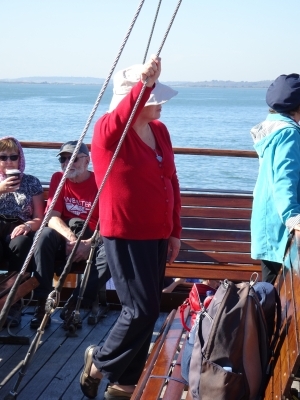 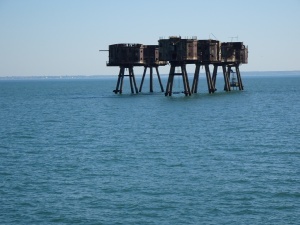 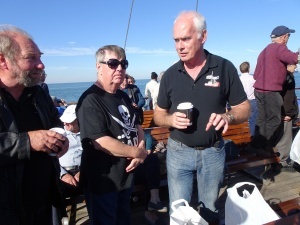 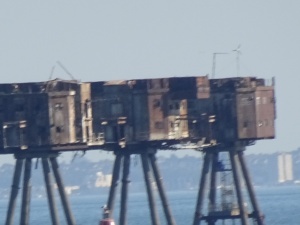 once the Forts came into sight, cameras were clicking and the pirate radio enthusiasts on board were enthusing. 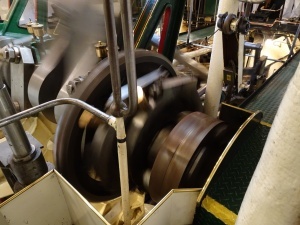 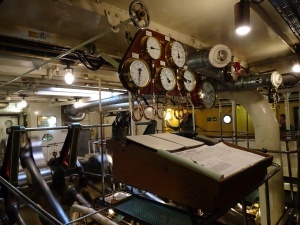 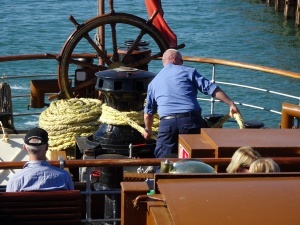 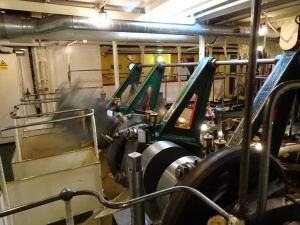 On the cruise back up the river there was time to view the magnificent engine that powers the paddle wheels. 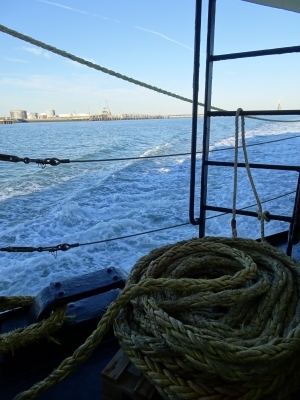 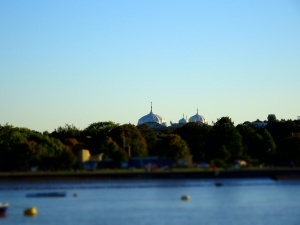 All too soon we reached Southend and then Gravesend where it was our turn to disembark. 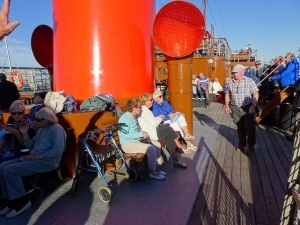 Built 70 years ago, she is the world’s last sea-going paddle steamer. 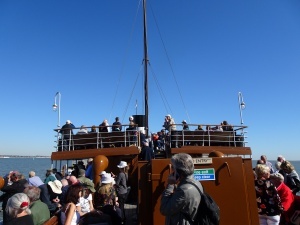 In 1974, at the end of her working life, she was famously bought for £1 by the Paddle Steamer Preservation Society. 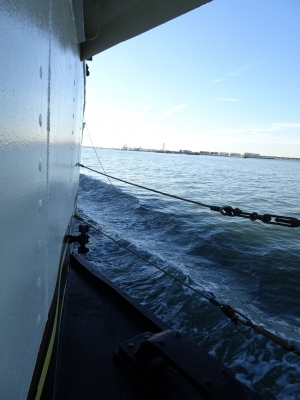 Her first sailing in preservation was May 21st, 1975. 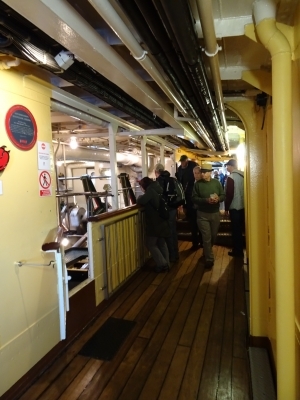 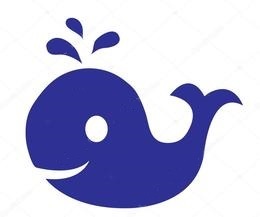 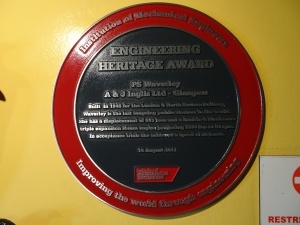 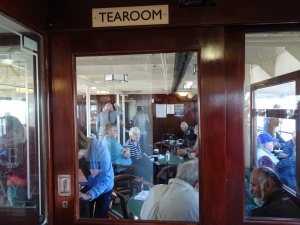 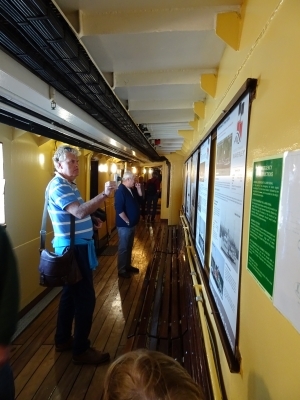 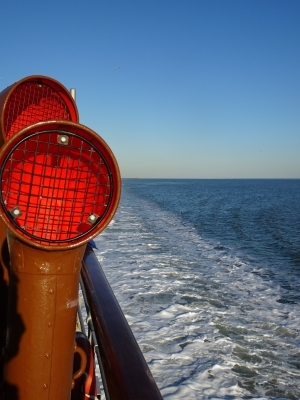 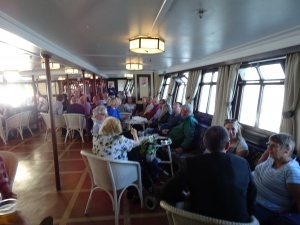 A number of companies support the ship’s preservation through membership of the Corporate Friend’s of Waverley Scheme. 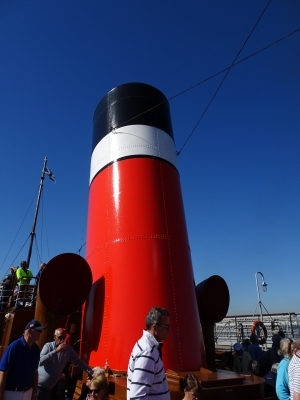 2003 saw the completion of a major restoration project, which returned Waverley to the original 1940s style in which she was built. 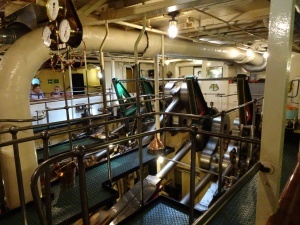 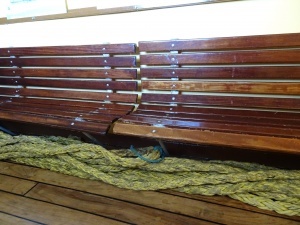 She has been magnificently restored with towering funnels, timber decks, gleaming varnish and brass. 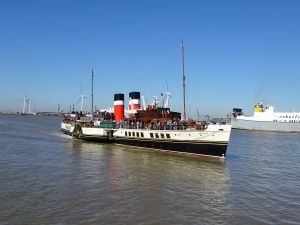 2017 marked 70 years since Waverley’s maiden voyage on 16 June, 1947.